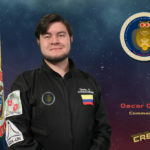 Oscar Ojeda was born on October 18, 1987 in Bogotá-Colombia. Master’s student at the School of Aeronautics and Astronautics of Purdue University. 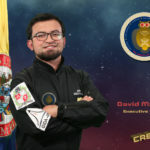 He is a Mechanical Engineer from Universidad Nacional de Colombia, where he founded and coordinated the Aerospace Research and development Group of the Universidad Nacional de Colombia (GIDA-UN). He is currently the Regional Coordinator for the South American region for the Space Generation Advisory Council. In GIDA-UN he led projects in rocketry, space policy, and worked on the Cóndor Space Suit Simulator. 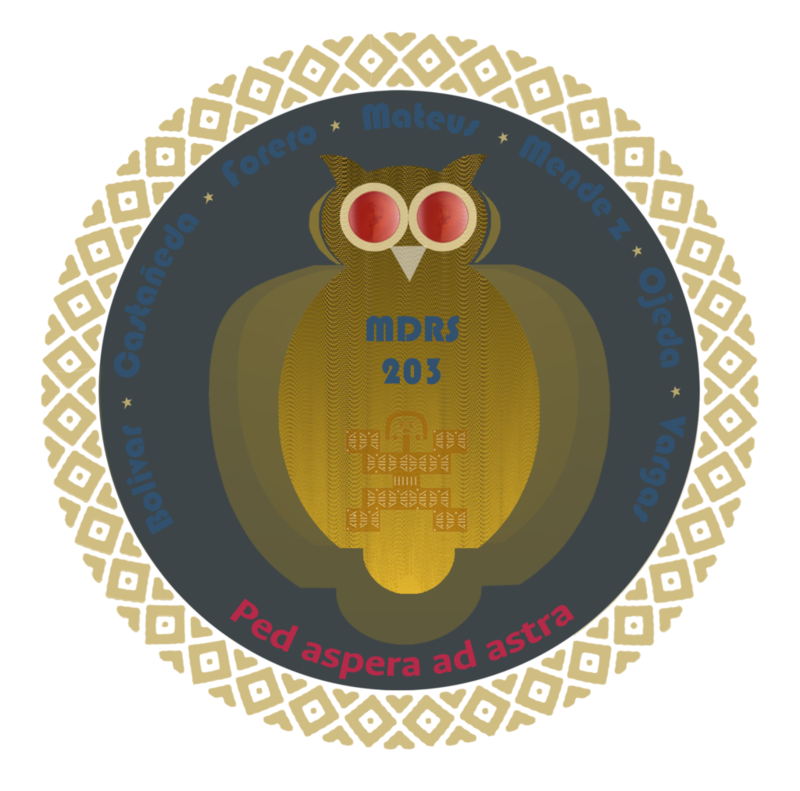 He also participated of a Research internship at Purdue University, where he developed a wheel to be used in rovers, as well as 3D printers of cementitious materials. Oscar is passionate about human exploration of outer space, and in particular of planet Mars, his current field of work is on human systems and performance, robotic systems, and analogue research. 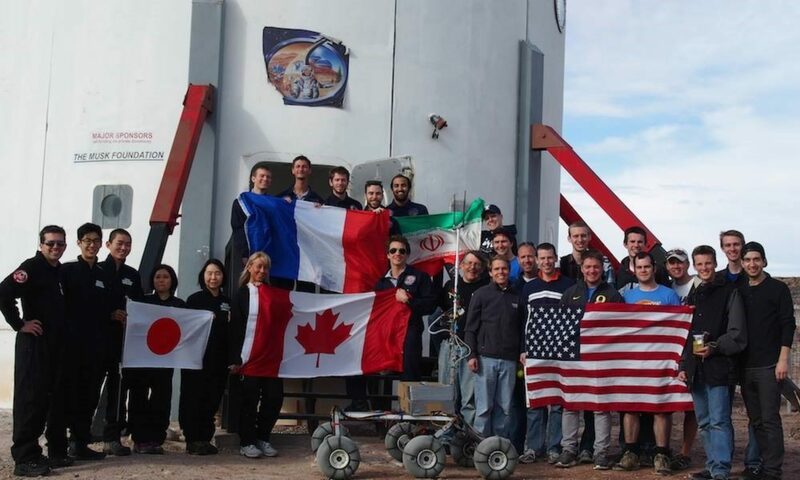 Oscar was part of crew 187 at the MDRS. David Mateus was born on 1995 in Bogotá Colombia. He is Mechatronics engineer and currently he is studying a master’s in Industrial Automation at the National University of Colombia. 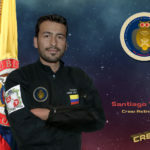 He is member of the Aerospace Development and Research Group of the National University where he is involved in projects related with satellites and space farming. The summer of 2016, he participated in the Samara Summer Space School “Advanced technologies for nanosatellite´s experiments in space. In 2018 he participated in the international graduated summer school at Beihang University. David was Greenhab Officer with crew 187. Yael Natalia Méndez, microbiologist from Universidad de los Andes. Master’s student – geology from Universidad Nacional de Colombia. 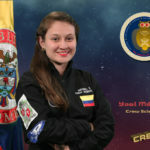 She started her formal studies in the field of astrobiology in 2012, working on her undergraduate thesis with professor Martha Vives, titled “Identification on native bacteria from the semiarid zones of Candelaria and Tatacoa (Colombia), able to endure a simulation of Mars radiation”, where she designed a device to simulate the atmospheric conditions of Mars. From this point her work has been focused on finding extremophile microorganisms isolated from colombian deserts, focusing on xerophlies, radiophiles, and microbial mats, with potential astrobiological application. 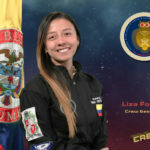 Starting on 2015 she got involved with Universidad Nacional de Colombia, coordinating and advising thesis in this field with the Planetary Sciences and Astrobiology Group GCPA. She has published papers related with extreme environment microorganisms in the journal Vida sin Fronteras and in books of microbial ecology from Universidad Nacional de Colombia. She currently Works as teacher of Microbiology at the Agricultural Sciences College of Universidad Nacional de Colombia. Dr. Santiago Vargas Domínguez holds a bachelor’s degree in physics and was awarded a PhD in Astrophysics in 2008 from the Instituto de Astrofísica de Canarias – ULL, Spain. He undertook postdoctoral research positions at the Dutch Open Telescope – University of Utrecht (Netherlands), Mullard Space Science Laboratory – University College London (UK), Universidad de los Andes (Colombia), and Big Bear Solar Observatory – NJIT (USA). Currently, he is Research Coordinator of the National Astronomical Observatory in Colombia and Chief of the Transfer Knowledge and External Affairs Office at Universidad Nacional de Colombia. His research interests focus on the study of the Sun, in particular the analysis of solar magnetic fields and energetic events in our star, involving the manipulation of solar data through image acquisition, processing and visualization techniques. Dr Vargas is very passionate about science communication and has given more than 100 public talks. He strongly believes that outreach activities are extremely necessary in a society willing to face new challenges, especially involving young people and children. 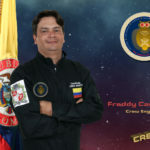 Freddy Castañeda was born on 1978 in Bogotá Colombia. He is a Mechatronics Engineering student at the National University of Colombia. He is a dedicated husband and a proud father of an eighteen years old girl who shares his love for science and technology. Fort the last fifteen years he has been working on the engineering sector, ten years ago he founded an automation company named CLH Engineering Ltd and a couple of years later he acquired a lean manufacturing company named Lean Solutions SAS, he has been the CEO of these Companies until today. He has worked in several engineering projects in sectors like energy, oil and gas, educational, construction among others. 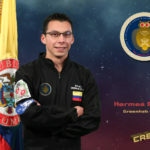 The last two years he has been worked in collaboration with an Agricultural Research Group of the National University of Colombia to provide the agricultural sector of Colombia with technological tools that help them to obtain more accurate products and he has applied those tools to the aerospace research collaborating with the development and support of one of the projects of crew 187 named evapotranspiration on Mars. Hermes Bolivar, born in Sesquile Colombia the 21th of November of 1993. Master’s Student on Biological Sciences at Universidad Nacional Autónoma de México. Biologist from Universidad Nacional de Colombia and finished his bachelor in 2016. During his career, he had the opportunity to work in the Planetary Science and Astrobiology Group (GCPA) from the university since 2013. Hermes developed the interest to work in astrobiology, especially in extreme environments. His bachelor thesis consisted in the isolation of xerotolerant bacteria from semi-arid zone of Tatacoa Colombia. He decided to work on the ecology of microorganism in extreme environments, because in his opinion this topic is important for understand the origin of life on the earth and the search of life in another planets.